A blank row helps organize your home screen. Some of the most creative iPhone home screen designs we’ve ever seen use blank gaps to separate icons into groups or to create interesting stepped patterns. But how is that even possible? After all, if you delete a home screen icon, the others close ranks to fill in the space. The answer is to add blank icons to create those gaps. Then, you can add a blank row to organize your iPhone home screen, or move all your apps the the bottom of the screen instead of the top. A blank icon needs to fulfill two requirements. One is that it is invisible — either transparent, or the same color as the background. The other is that it should have no name, otherwise this will appear underneath the icon. 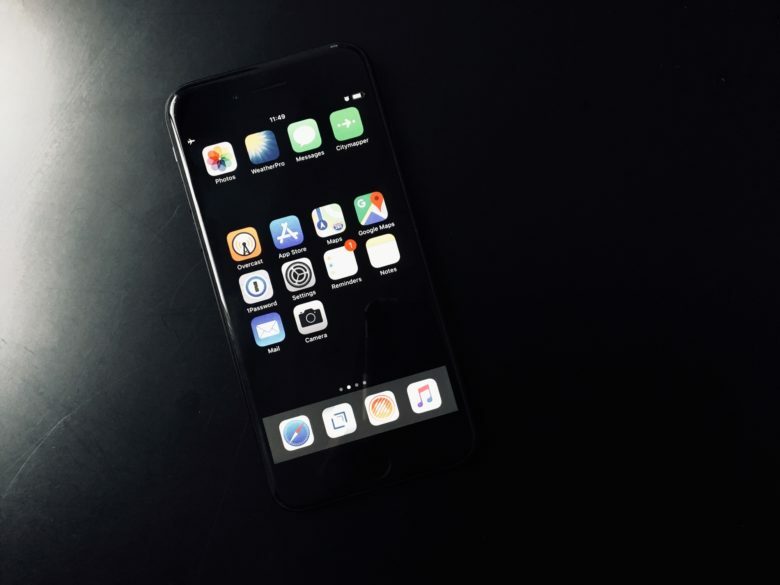 David Smith’s Invisible iOS Home Screen icon Template fulfills both of these requirements — as long as your iPhone home screen wallpaper is black. Use the built-in home-screen bookmark tool. 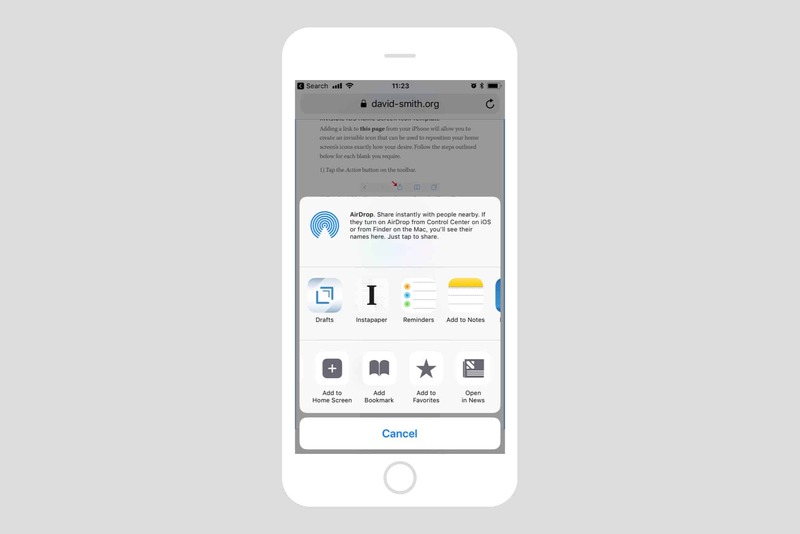 To add Smith’s icon to your home screen, just visit the site and add it as a home-screen bookmark, just like you would with any other bookmark. This is done using the iOS Share Sheet, and then picking Add to Home Screen from the list of actions. Then, without touching any of the fields (the page title field is prepopulated with an invisible character), hit Add. You will now have a blank (or rather, black) icon on your home screen. Long-press the icon, then you can move it around in jiggle-mode, just like any other icon, to make your fancy layout arrangement. If you need more of the blank icons — if you want a whole blank line on your home screen, for example — simply repeat the above steps until you have enough to create your design. It’s an ingenious workaround. It doesn’t involve picking around with the system, or jailbreaking, or any other nonsense like that. Try it out — and show us the cool layouts you create!